Your thoughts on my recent project? People kept asking me if I could make these as commission. 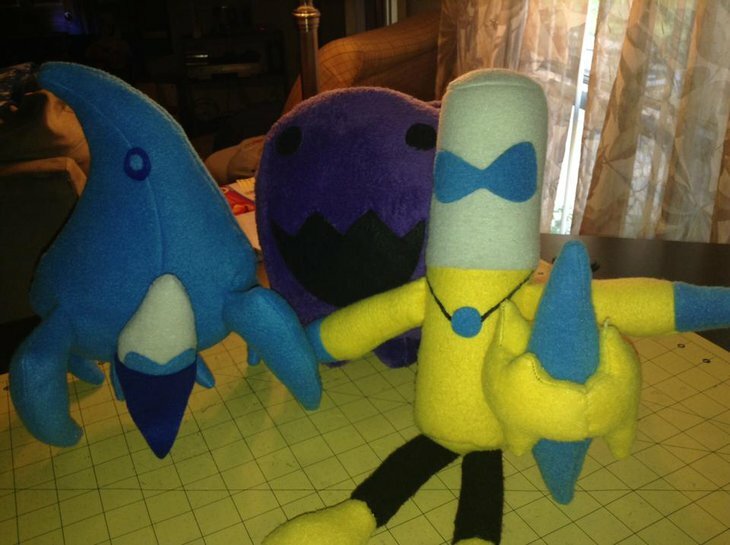 So I did my own Zealot plush, plus small prototypes for the Marine, Ling and Infestor. These are the ones that people asked me for. Really just making these as commission custom work. Cool stuff man, the baneling one on your site looks absolutely epic, wonder what are the shipping costs to eu. 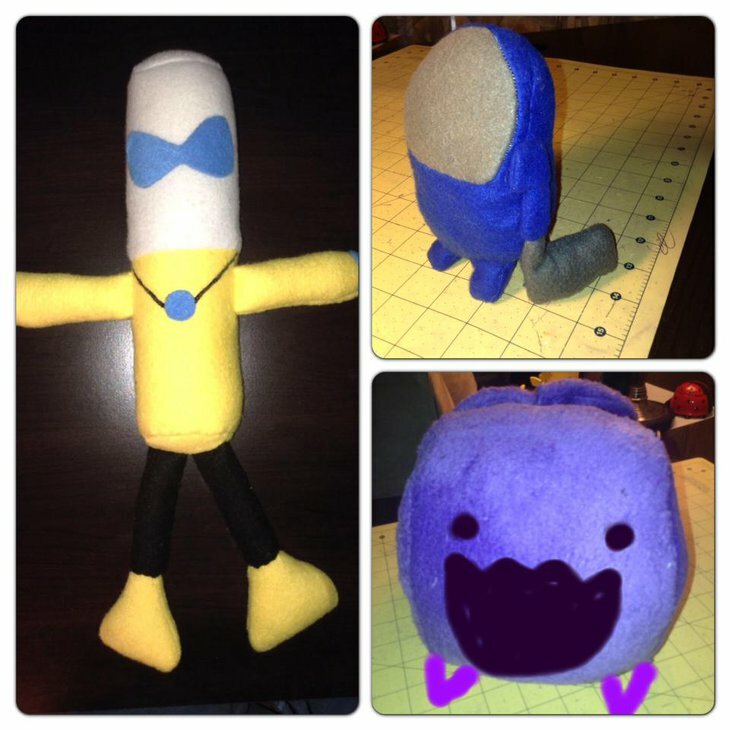 if you actually put the tongue on the infestor plush i'm buying it right away. Oh man, great job! 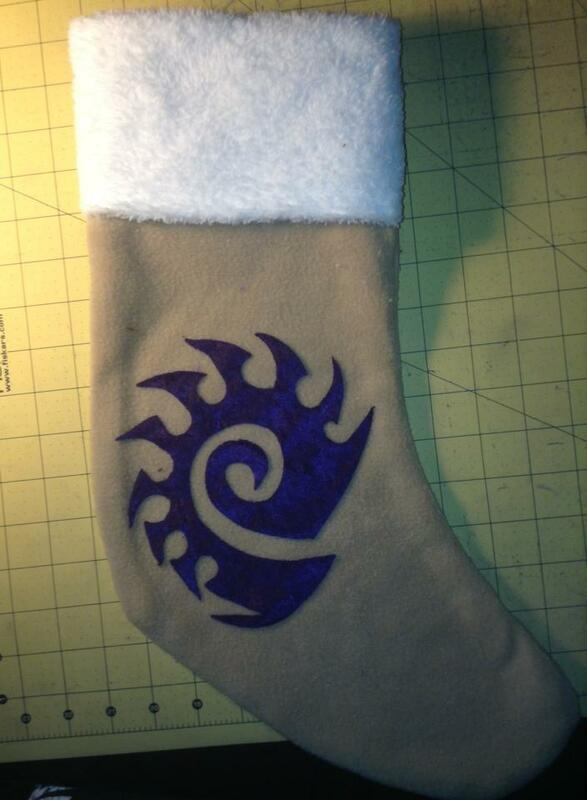 I love the infestor and the stocking! Oh my god, I want the infestor!! 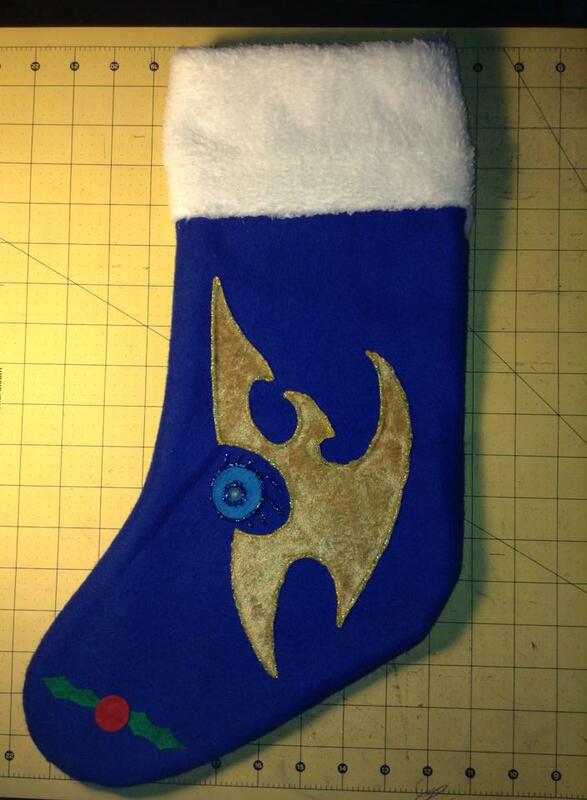 The stockings, there will be Zerg and Terran too, just gtta finish putting them in place and spiffing them up. The cutting was a nightmare. 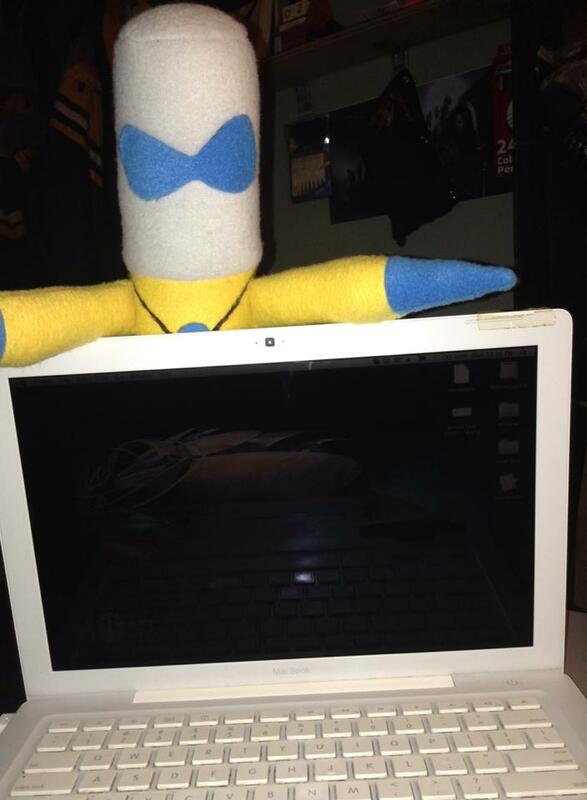 Thank you for the feedback guys/gals :D It means alot. I am free to make a few until Xmas season. So just let me know if you're interested in any of these. 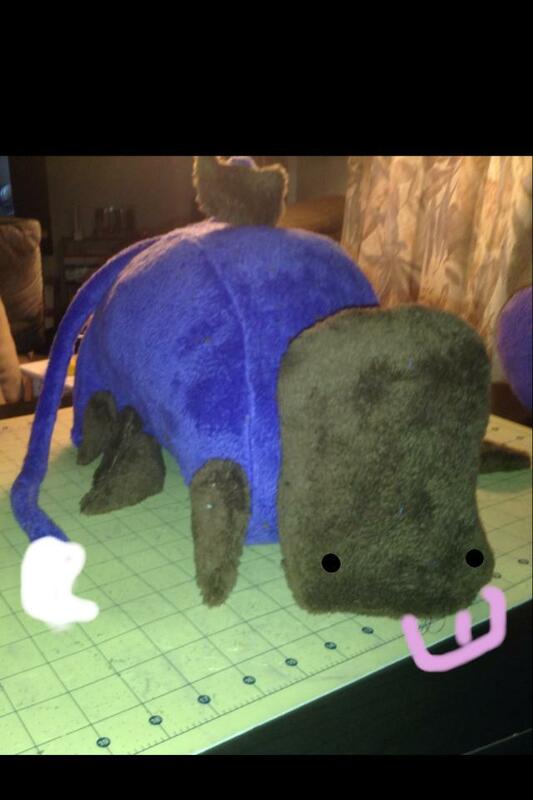 There's the current progress of the Zerg one, I gtta fix the symbol and make it look good like the Protoss one. Someone just suggested I do a second version of the Marine, as a patchedbutt version.